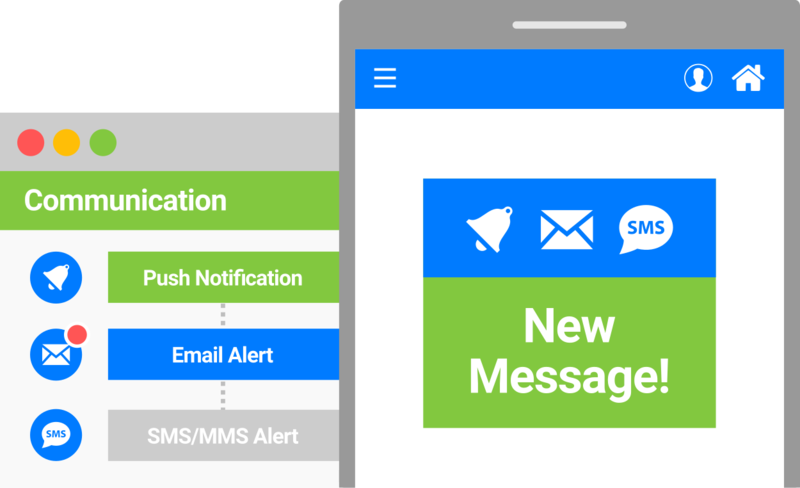 Keep everyone in the know with everything from push notifications and SMS alerts, to custom email templates. Effective event communication requires high frequency, a multi-channel approach, and good metrics. PheedLoop helps you with all these elements. 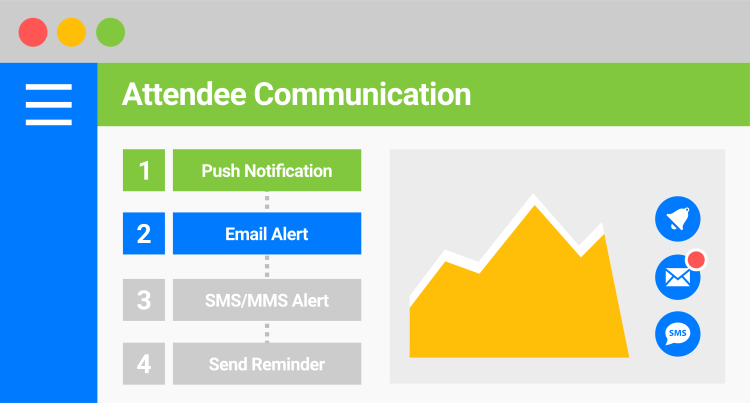 By offering lots of customizable communication options, automation, and reporting, PheedLoop takes on one of the most important event planning tasks - keeping everyone engaged and informed. Automation is the key to running a successful, scalable event. 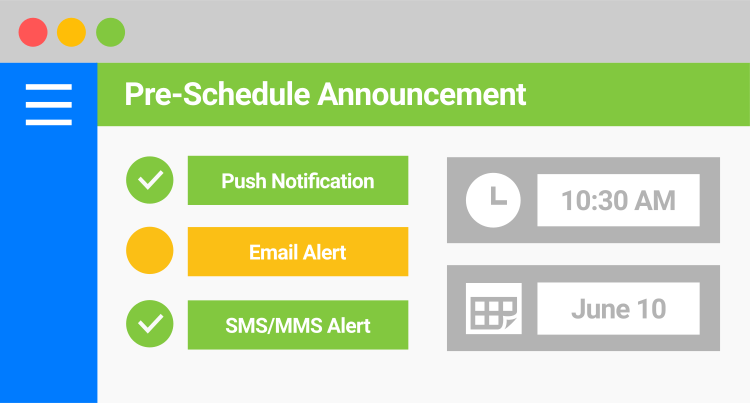 With PheedLoop, you can create targeted campaigns, set release dates and times, and forget about them. PheedLoop will automatically kick in at your specified time, and draw people back to your event, announcements, and event app. Your PheedLoop communication strategy can be about promoting sponsors, sharing key information, or even just saying hello. No matter your message, every bit of communication draws people to your event app. Every email campaign contains a direct link to the web, Android, and iOS app, along with login details. This simple addition will take app engagement to a whole new level for your event. Can I segment my communication efforts? With PheedLoop, you can group and categorize attendees based on tags which are automatically or manually assigned to them. You can target notifications based on tags. Can I customize default email templates? Yes! With a system as large as PheedLoop, there are emails constantly being sent out. You can customize all these templates, both subject and body, at any point. Can attendees unsubscribe to announcements? Absolutely, the ability to unsubscribe is available in every email and even in their event app. You'll know who has unsubscribed, and can unsubscribe people yourself as well. What kind of analytics do you offer? Every email sent to an attendee via PheedLoop, for any purpose, reports back to you. We track email opens and clicks, with timestamps. Push and SMS are not tracked, currently.